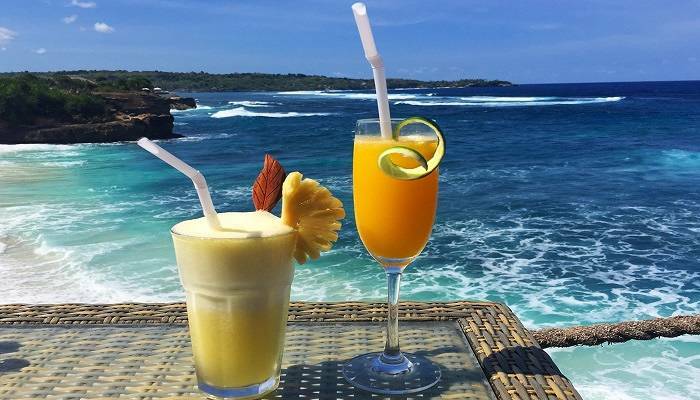 Ever since it blew up as a tourist destination back in the eighties, Bali has become a byword for beachside holidays, partying and cheap-and-easy good times. More recently, lovers of luxury and those hoping to unwind from the stress of modern life have flocked to the island as well. No matter what your reason, Bali has a holiday for you. Before you book your plane ticket, check out our guide to the five different kinds of holidays you can have in this island paradise. Does your dream holiday heavily feature beachside beers, sweaty dancefloors and cheap-and-cheerful pubs? 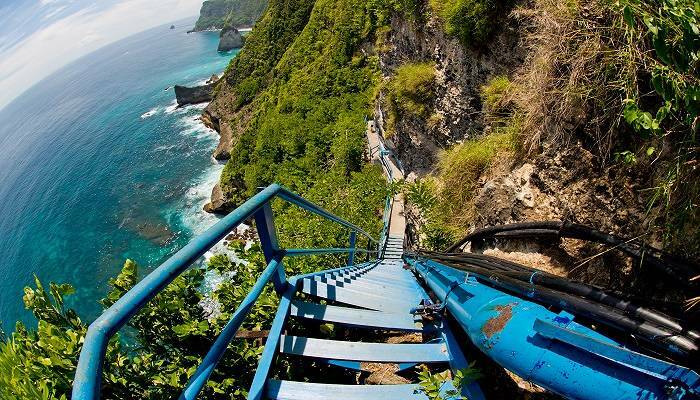 If you answered yes, then Bali has got you covered! Kuta has been pulling in masses of tourists for more than 20 years, and its streets are lined with bars and clubs. You can be glugging Bintang at a beachfront pub from dawn ’til dusk, before heading on over to one of the many nightclubs on the main strip. Bounty nightclub is a classic, but Kuta is jammed with joints that offer free entry and never-ending happy hours – and usually no dress code. Don’t feel like being crammed into a sweaty box with countless young partygoers? Head a couple of miles down the road to Seminyak, where the parties are a tad more grown-up, and the vibe more upmarket. Honeymooners have been flocking to Bali for years for good reason. Glorious sunsets, plenty of secluded coves for privacy, and more romantic restaurants with a view than you can poke a stick at, Bali seems made for lovers. Sanur is a quiet town away from the bustle of Kuta, with plenty of beachfront resorts and restaurants delivering romance in spades. You could also head for the terraced hills of Ubud for verdant jungle, spectacular scenery and plenty of privacy. Loosen up with a couples’ massage (they’re cheap as chips in Bali), or get out of town and go for a hike to a nearby waterfall – the island is covered in them; some of our favourites are Tegenungan Waterfall and Aling-Aling Waterfall. To end a romantic day, watch the sun set from Pura Luhur Ulu Watu Temple. It’s not hard to relax in Bali. With so many beaches, resorts with pools, and easy-going restaurants with top-notch local and international cuisine, the Balinese locals’ peaceful Hindu beliefs seem to have seeped into every aspect of life here. You’ll find most retreats in the tranquil surrounds of Ubud, offering everything from yoga to meditation, detoxes and regular massages. Even if you’re not participating in a formal retreat, Ubud can offer relaxation, with plenty of gentle walks winding through the terraced slopes of its mountains. Canggu also offers a getaway from it all. This coastal sliver has remained relatively untouched by the development that’s encroached on other, more tourist-heavy parts of Bali. With its striking black-sand beaches and a slow-paced way of life, it’s a lovely coastal alternative to Ubud. Kids love Bali and Bali loves kids. For starters, the island has plenty to keep them entertained. 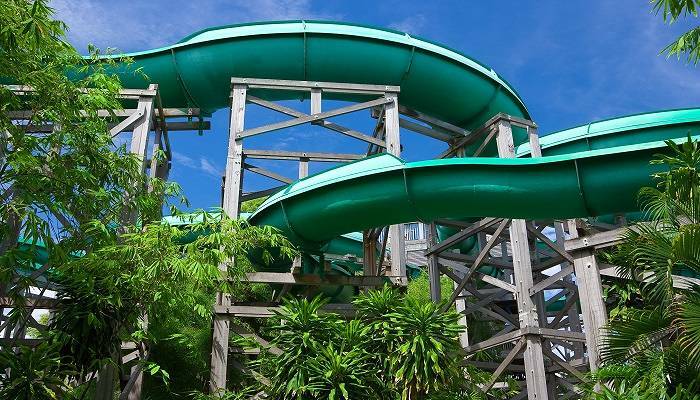 Waterbom Park has been a favourite of generations of children visiting Bali. Considered the best water park in Asia, it’s got adrenaline-raising waterslides for the adventure seekers, a gentle ‘river’ for the less game, and pools for those who just want to have a splash. Dine in a treehouse in Kuta, or aboard a pirate ship for extra good-parent points! The streets are lined with markets pushing toys, colourful clothes and games. Need a break from the kids? You’re in luck – most resorts and hotels worth their salt offer kids’ clubs, and even nannies if you need extended time away from the little ones. Daggy tourist bars not your thing? Like wearing shoes to dinner? Despite its laid-back vibe, Bali does offer plenty for the more discerning visitor. Head to Seminyak, where you’ll find the cool crowd congregating. Potato Head has been kicking around for a few years now, and regularly hosts some of the world’s biggest DJs and artists within its beach club, as well as food festivals and giant parties. While there are plenty of beachfront clubs and restaurants in Bali, you can’t beat Jimbaran’s Rock Bar – it literally hovers 14 metres above the water, jutting out from a cliff face. The suburb of Petitenget, which neighbours Seminyak, has recently seen a slew of cooler-than-cool restaurants, bars and hotels open – get in there while it’s still relatively under-the-radar for ultimate bragging rights. Check out our flight, holiday and hotel deals and start planning your Bali holiday now!